The country is being run according to the whims and fancies of a single family, Jathika Hela Urumaya (JHU) MP Athuraliye Rathana thera has stated. Speaking at the launch of the proposal for the 19th Constitutional amendment prepared by Pivithuru Hetak (A better tomorrow) movement led by him, the monk whose party is a member of the UPFA coalition has accused the Rajapaksa-regime of running the country according to the whims and fancies of a handful of officials in the government service. “Every single state-level decision is made by a dictatorial hand; the country is in the hands of a single family and a few government officials whom this family heeds to,” Rathana thera had stated. During his speech at the event he had gone on to criticize the decision made by President Rajapaksa to hold the Presidential election in a few months, describing it as an ‘arbitrary, stubborn and unwise action’. “Today, the necessity for a Presidential election has been decided by the planetary movements and astrologers. We would like to remind the President that the need for a Presidential election should be decided by the law and the people’s mandate not your horoscope,” he has said. 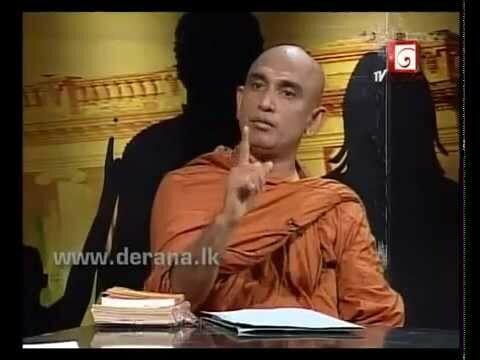 Meanwhile, Rathana thera had also commended the stance taken by the leftist parties and its leaders in writing to the President, urging him to hold the election and instead implement the much needed Constitutional amendments to preserve democracy.